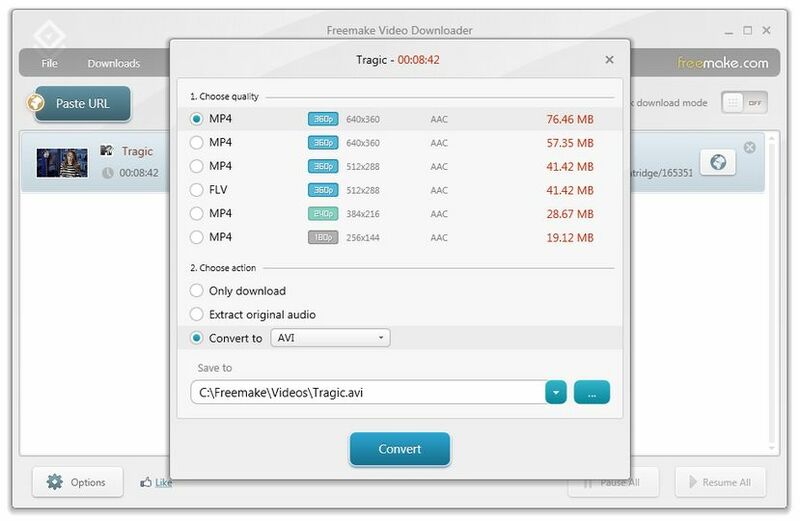 With Freemake Video Downloader you can download videos from YouTube, Vevo, Facebook, MTV, ComedyCentral, Vimeo and 40+ sites, extract lossless audio, convert online videos to AVI, MKV, MP3, iPod, iPhone, PSP, Android. After unpleasant experiences with a coupe other downloaders --secret crap downloads tacked on, and a browser hijack--I was leery of Freemake as well. However- theres nothing negative to say about it--very simple & quick to download from youtube in several formats. No obtrusive ads or tricks to download something additional.